A Sailing Whitsundays favourite when it comes to private charters with a stylish vessel, low passenger numbers and private cabins. Great private charter for those wanting to learn more about sailing! 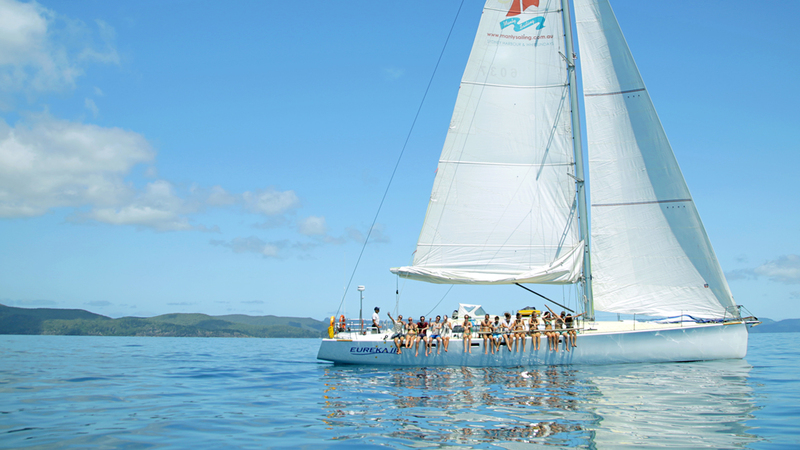 The well-known Eureka II is your pick if you are wanting a stylish and intimate sailing experience in the Whitsundays. With her sleek finish inside and out as well as outstanding sailing history, Eureka II is in a league of her own when it comes to a modern and comfortable vessel. 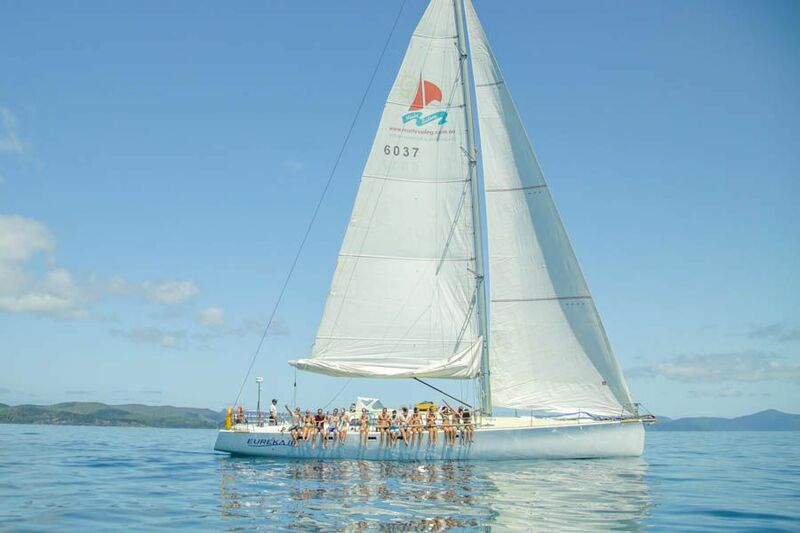 Eureka II takes passengers on a somewhat contemporary, fun sailing journey, incorporating a number of snorkel sites, speed sailing (guests can help the crew!). The trip wouldn't be complete without a stop at the famous Whitehaven Beach and a stroll to the world-renowned Hill Inlet Lookout! Complete with an experienced skipper, Eureka II is the perfect choice for those looking for a sailing trip which is a little bit different and adds that little bit extra! And, Eureka II is still on the Grand Prix racing circuit! Speed combined with modern technology and interiors makes this a very contemporary fun sailing adventure. Eureka II's itinerary includes a stop at the Whitsundays one and only Whitehaven Beach! Famous for its pure silica sands and seemingly endless shoreline, Whitehaven Beach has been voted one of the best beaches in Australia. It is located on the largest island of the 74 Whitsunday Islands, providing a perfect beach escape. The crew onboard Eureka II will take you to all the hot spots in the area and provide you with all the necessary gear and tuition if you need it. Below the waterline the Whitsundays offers an array of colourful corals and amazing marine life. Because of the low passenger numbers this vessel can get to locations that are more remote and off the beaten track so your guaranteed a unique experience without the crowds. Eureka II is one of the best tours in the Whitsundays for those who want to enjoy the art and beauty of authentic sailing. Eureka II has a interesting racing history and is still an actively competing boat in the Grand Prix racing circuit, offering guests an experience on board a real race boat. Whether you want to sit back and watch the crew, or join in and learn a thing or two about sailing, Eureka provides the perfect sailing experience. Man the helm, hoist the sails or simply enjoy the view of the sails above on board Eureka. Eureka II departs from Abel Point Marina in Airlie Beach. Eureka II is suitable for ages 12+. BYO alcohol (no glass). Soft drinks available for purchase onboard.